I want to make a point about a dynamic that too often occurs in mission driven organizations. To strike the right working balance between seasoned board members, senior executives and new leaders requires appropriate orientation and training in strategic management roles and responsibilities. When little or no up-front guidance is provided new board members regarding appropriate behavior it can enable boundary crossing into micromanagement of management and allow senior executives to extend their influence and actions beyond management of the organization into governance of the organization. New board members that don’t receive guidance can develop bad habits leading to disjointed behaviors and poor communications that will not serve the organization in a positive and unified way. 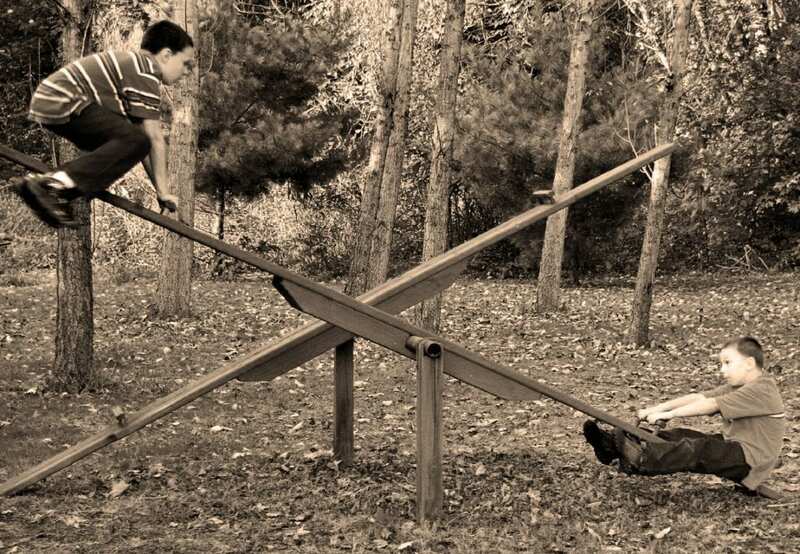 Do you remember riding the teeter totter as a child? Allow me to use it as a metaphor to make a point. A fundamental requirement for successful teeter tottering (now think strategic management) is that riders (now think board and senior management) understand, embrace and do what is required for the teeter totter to go up and down in smooth rhythmic bliss. If not the “delicate balance” is disrupted much like the situation when one end of the teeter totter is occupied by a friend of disproportionate height or weight, and maybe even possessing a propensity for causing trouble. This particular strategic management pitfall can easily be avoided. It requires some level of investment in defining roles and responsibilities of the board and the senior management, and then training and supporting each leader to ensure appropriate behavior going forward. Depicted on the chart below along the horizontal axis are the five essential phases of an effective strategic management process. Represented on the vertical axis is the appropriate degree of involvement by board and senior management at different points in the process. Throughout the process the degree of involvement of the board and senior management varies in intensity as dictated/guided by their respective role and responsibility within a particular phase. As the process unfolds board and senior management work together and move from understanding the current strategic environment to defining a strategic plan focused on the purpose of the organization and its vision of success. Once approved the process can move forward to translate that which is strategic (high level/long term focus) into action (close to the ground/get it done) by crafting an operating plan to be implemented, evaluated and managed. Bottom Line: The board’s governance role is more intense in the beginning of the strategic management process and diminishes as the management team gets closer to executing the board’s approved strategy, and then again becomes more intense as the monitoring, evaluation, feedback and action taking processes unfold. The successful choreography of these interactions depends on everyone understanding the role they play, where their responsibilities begin and end and respecting boundaries to achieve a powerful yet delicate balance.